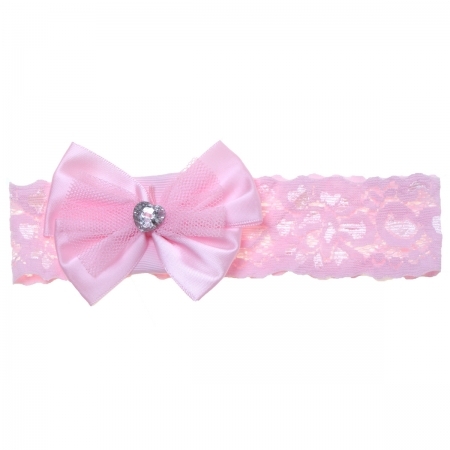 Lace hair band with heart shape diamante bow in pink for baby girls and toddlers. Satin bow. Highly stretchable band from 12"/30cm - 18"/46cm. From babies to 4yrs.